Poet William Blake - "Auguries of Innocence"
These are the famous opening lines of William Blake's classic poem, "Auguries of Innocence." But what do they mean? 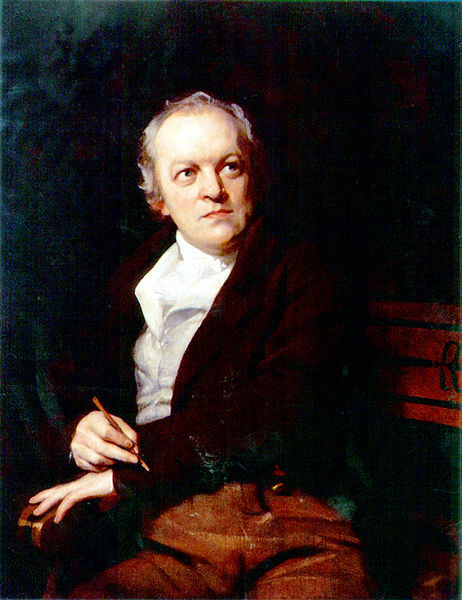 Blake was a British poet and artist, a central figure of the Romantic Age of the early 19th century. As such, he believed in the spirituality that comes from direct perception of the natural world. Blake's perspective, often expressed by the romantic poets, was so unique and at odds with conventional beliefs that critics often considered him a mystic or even mad. Blake understood that people don't perceive reality as it is. Their perceptions are conditioned by beliefs and attitudes handed down by parents, teachers, ministers, and others. So people don't really see things as they are, they see them as they have been interpreted to mean. So one has to quiet the mind and set aside all these explanations in order to experience the real world on its own terms. According to Blake and other romantics, this state of pure perception can be a gateway to spirituality. 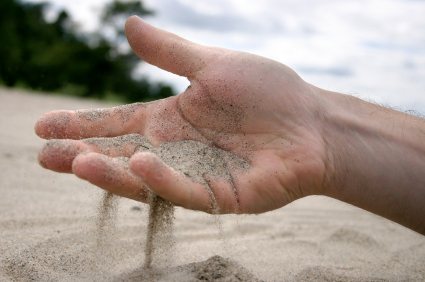 If you could see the tiniest substructures within a grain of sand, you'd understand that it is, indeed, a world. You could hold infinity in the palm of your hand. If you could get your judgmental mind to be quiet long enough, you would see that the intricate beauty of a flower actually exceeds anything you can imagine would exist in any notion of heaven. This way of seeing is a way of dramatically slowing down the perception of time. If you could sustain this way of perceiving for an hour, it would seem like an eternity. Like existentialism and the themes of novelist Carlos Castaneda in our own time, this world-view seems strange to the conventional mind. But one should remember that this strange way of looking at the world is actually how children see things - how you experienced life purely before your parents, teachers and ministers painstakingly explained it all to you. Great post about seeing the essence. Georgia O'Keeffe's art did it--which is why it has such a wide appeal. I learn a lot about a person by how they walk along a woodland path. Some act like they are on a forced march. They step on tiny wildflowers, mushrooms, interesting leaves, never even considering the whole world beneath their feet. Others stop, stoop, examine and marvel.